Showing results for tags 'lx vest'. 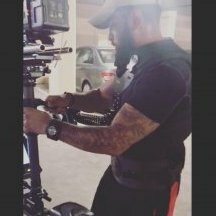 Tiffen Steadicam Archer 2 SYSTEM w/G50X Arm and LX Vest - Location: Atlanta, GA - $22,000 Archer 2 sled with dovetail plate, IDX VMount, Non-Motorized tilting stage. 12V or 24V DC output. Original 7" TFT (SD) Monitor. The sled was rewired by Tiffen (2016). Small HD 702 High Bright. I have not gotten the chance to get a monitor yoke for it. Cam-Jam was willing to help me on that. https://shop.cam-jam.de/ LX Vest: Has new plastic lining (2016) as well as extra large knobs. I recently lost a springloaded stopper. I will ship to Tiffen and fix it at my expense before sale. G50 arm with G50x spring upgrade (2016). The tale-tale sign of the upgrade is the silver screws. Just came back from Tiffen for the upgrade. Archer 2 docking bracket (1) Hex Wrench Included 1/4" Thermodyne Case (all items fit in the case). Accessories 4X V-mount batteries plus charger Low Mode bracket ("F" Bracket) SD Monitor Cable (Video/Power) Decimator II (For use of SD monitor) 3 Pin Lemo to 4 Pin XLRF (12V Power) 3 Pin Lemo to 4X P-tap module 3 Pin Lemo to RED Scarlet/Raven 2.1 barrel to P-tap (Decimator II) 2X short BNC Cables For the full kit: $22,000 Kit with NO Vest or HD Monitor: $18,000 Buyer Pays Shipping. Thank you for your time and attention! Archer for sale, full steadicam rig.